Anne Marie Stephen is the CEO + Founder of kwolia, strategic advisory for emerging technologies applied in retail connecting the physical and digital worlds. Technologies, including mobile, location, and data/analytics are shaping consumer experience and engagement with brands, retail, hospitality and entertainment. As a global customer-focused product and service developer, customer experience guru and trends forecaster she has worked with leading companies including: IBM, Panasonic, Ahold Delhaize, Hershey, Pepsico, Disney, Chico’s, AutoZone, Ralph Lauren, Hickory Farms and Macerich to integrate innovative solutions for over a decade. She is the founder of Retail Innovation Lounge, a lounge and learn experience for changemakers in retail, connecting innovators and disruptors in a cool space with a relaxed vibe. Launched at SXSW 2016, the Retail Innovation Lounge goes “next level” into the future of retail. It explores convergent commerce with new solutions, concepts and unfiltered, authentic conversations from: retail, brand, technology, marketing, media, entertainment and social good with the shared mission of moving retail into the future. 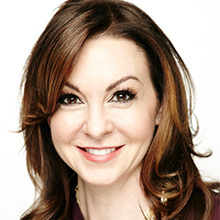 Recognized as a thought leader, Anne Marie is a sought-after speaker at future of retail, innovation and marketing at events including: SXSW, Shoptalk, Mobile Media Summit, Shop.org, CinemaCon, APEX, Ad Tech, Retail Evolution, Retail Smarter -University of Florida, International Council of Shopping Centers, National Sporting Goods Association, National Association of Chain Drug Stores, the National Association of Theater Owners, Revtech and Retail Loco, featured writer for Chain Store Age, Innovative Retail Technologies, Retailing Today, GeoMarketing, Chain Drug Review, Box Office Magazine, Fierce Retail, Street Fight, and SharpHeels.